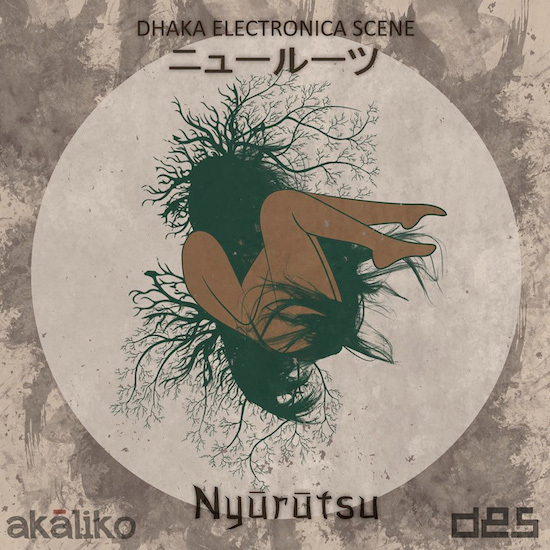 Nyururtsu is the title of the latest compilation by Akaliko Records an offshoot of the Dhaka Electronica Scene (DES) spearheaded by Khan Mohammed Faisal. 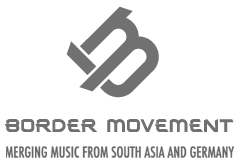 The landscape of electronic music in Dhaka has seen a remarkable transformation since DES came into being. It is undoubtedly, because of a few hard working people who’ve taken a vision and done everything in their power to make it tangible and real. Nyurutsu represents DES’s evolution and much more. This is the labels fourth compilation. The unnervingly beautiful album artwork by Humairah Shams gives listeners a hint of what to expect – each track within has a distinctly nocturnal quality to it and as a whole, the albums structural and melodic approach is slow building, abrasive and incredibly textural. ‘Nyurutsu’ begins with the neurotic ‘Terminology: Chapter One’ by Madman’s Vault, a decidedly moody, menacing and looping opener that sets the tone for the rest of the album. Embers in Snow’s ‘Till Blue’ follows and much like its predecessor, constructs itself around a circular base melody; layering pretty tinks and plinks over coarse drum and bass which peaks into a frenzied wall of sound that gradually and pleasantly reduces to a final calm. ‘Terminology: Chapter One’ and ‘Till Blue’ are certainly easy on the ears, balancing heavy, viscous sounds and delicate synths with grace and ease. However, their peculiar slow building nature and driving, repetitive beats aren’t for everyone. Both tracks layer one looping snippet of sound over another and go through the same melodic chords and phrases with maybe not enough variation. DES brings in Kandy based Sri Lankan producer Daffy Maestro with ‘Therapy’– an atmospheric, downtempo number that features cosmic blips spread over sheets of noise and synth – it’s one of the more futuristic sounds on the album, which takes an ethnic turn from this point. ‘Annte’ by Rimless precedes ‘Therapy’; undulating from calm, quietly tense ambience to frenetic, almost hysterical build-ups. RIZVI brings his magic to the table with two standout tracks – ‘The Rebel Warrior’ and ‘Ancestor’ – both radical in many ways, especially with their concept and use of lyrics. The former sees verse by legendary writer, Kazi Nazrul Islam who also happens to be the country’s national poet, layered effortlessly over dubstep. The name of the verse is ‘Bidrohi’– translated to English as ‘The Rebel’ and the poem is given volume and weight with deep, powerful vocals, carrying its impassioned message of revolution forward with gusto. The resulting sound is distinctly contemporary, avoiding the clichés of fusion music and paying homage to its muse without losing DES’s essence of modernity. The idea of rebellion, breakage from the norm has a deep connection to Bangladeshi culture and its people, also evident in ‘Ancestor’. The track follows ‘The Rebel Warrior’ with its energetic use of percussion, electronica and an earworm circular flute refrain. The muffled vocals are sampled from a live recording by the Chakma folk – an indigenous people of Bangladesh. RIZVI will not bore you – he’s managed to deliver some forceful tunes with innovative and imaginative uses of structure, texture, melody and vocals. ‘Niharika’ sees producer Space/Ghost collaborate with The B Regiment in a sharp, atmospheric track which, in a style similar to the RIZVI, layers Bengali vocals slow building, textural electronic drums and synths. Fahad Zaman ends the album on a haunting note with ‘Agey Jodi Jantam’, featuring Nionta Nahia Chowdhury on vocals. Like ‘Niharika’, the track has deep textures amplified by Chowdhary’s ghostly, echoing voice. ‘Agey Jodi Jantam’ is a beautifully produced track, however, one could argue that as a closing track, it lacks a certain energy that preceding numbers offered. ‘Nyurutsu’s’ sounds are for the already electronically inclined – its experimental tone and weird but fantastic regional flavouring might make it difficult for some to digest. This isn’t something that could very easily be played at a club or party. That being said, the compilation, overall was one of the best so far, not just melodically and in terms of innovation, but also as a structured and cohesive album – all of which comes through despite the diverse range of sounds on it. More than anything, it shows the evolution of DES and the musical rebellion taking place in the country right now. It’s a sign of good things yet to come.